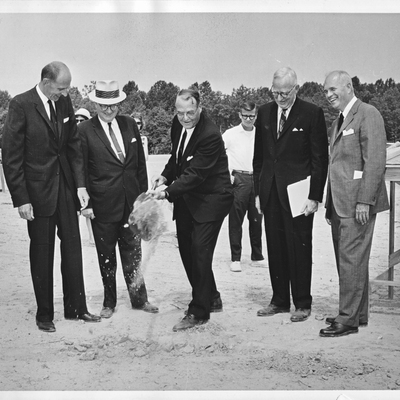 A. Smith Bowman, Jr. to Clarence A. Steele, May 24, 1956. John C. Wood to William C. Simms, May 16, 1956. 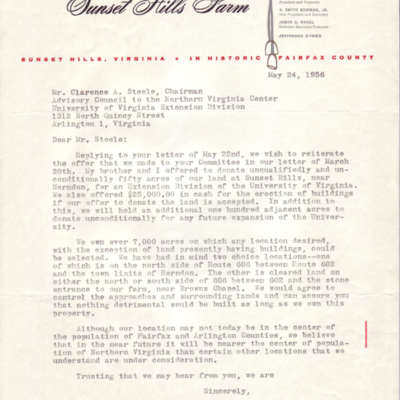 Carbon copy of letter from John C. Wood to William C. Simms (a member of the Advisory Council) advising him and the Council of the offer made by the owners of the Ravensworth Farm property. May 16, 1956. One page. Clarence A. Steele to Gareth M. Neville et. al., March 16, 1956. 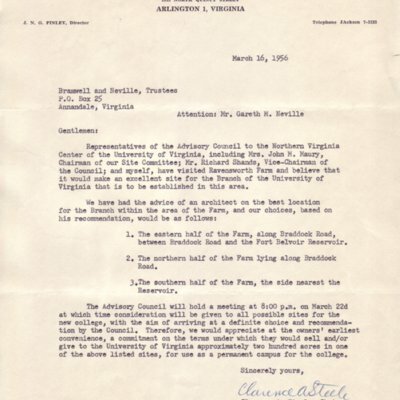 Clarence A. Steele to members of the Exploratory Committee and attachment to C. Harrison Mann, November 14, 1949. 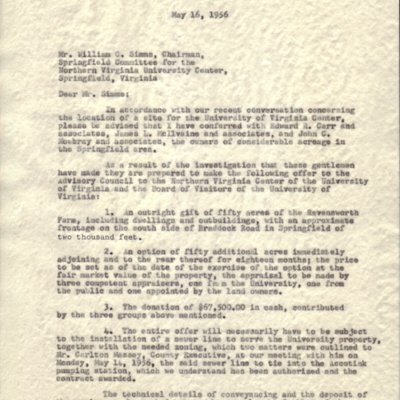 Proposal for action toward the establishment of an extension office of the University of Virginia in Arlington, March 1949.